“gREEN DOT” is a store with a selection of detailed products in good conditions centering on country folklore items. The store is supported by a wide of range customers regardless of age. 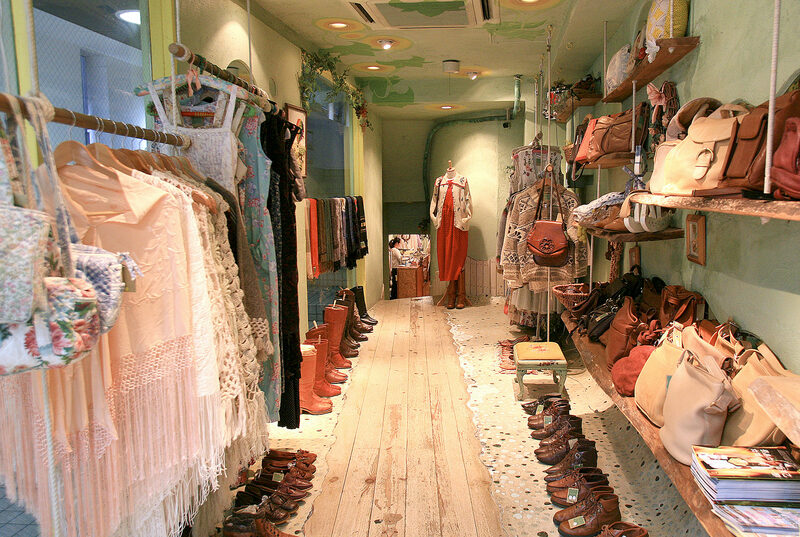 The interior of the store uses a lot of wood materials and the wall is mint green. The room is full of wool and wool decorations and provides you with a relaxing place. Surprisingly, even the hangers use wool! Also, although it is hard to see from the entrance, there are stairs in the back which lead you to the basement. It seems like a long and narrow hiding place. It is more spacious on the inside than it looks on the outside. The shop is different from other unique used clothing shops in Koenji and gives you a peace of mind with a touch of kindness.